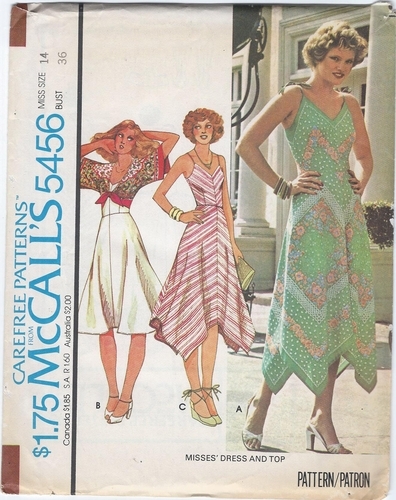 McCall's 5456 Sundress & Top, Bust 36"
Home > **50% OFF! ** VINTAGE PATTERNS For Women & Kids > **50% OFF! ** VINTAGE SEWING PATTERNS for Dresses > **50% OFF! ** Vintage Sewing Patterns For Dresses 1970's & 1980's > McCall's 5456 Sundress & Top, Bust 36"
Size 14 Bust 36" Waist 28" Hips 38"